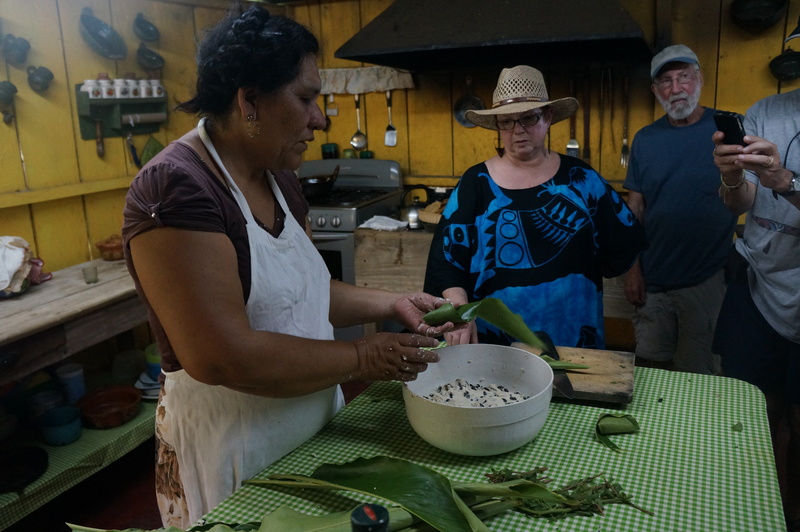 One of my favorite activities on my recent trip to Veracruz, Mexico, was learning to make and wrap black bean tamales. 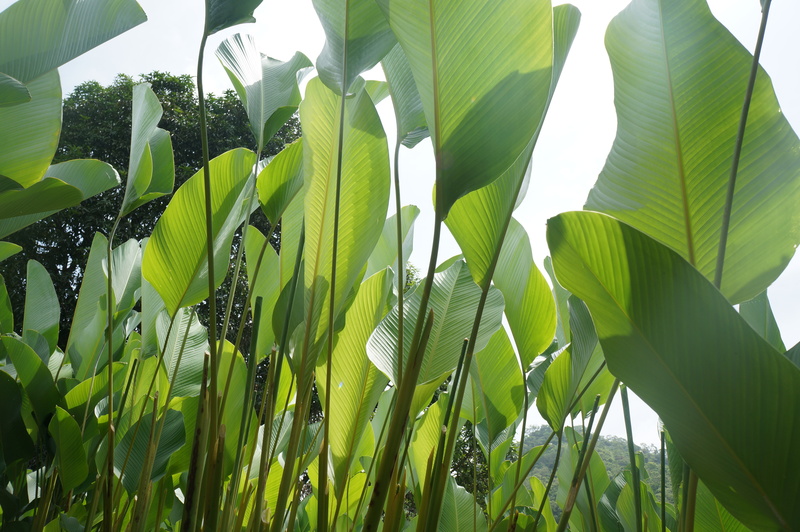 Our experience, orchestrated by tour operator Yambigapan, started at a local farm where we picked the banana leaves that would wrap our tamales for cooking. 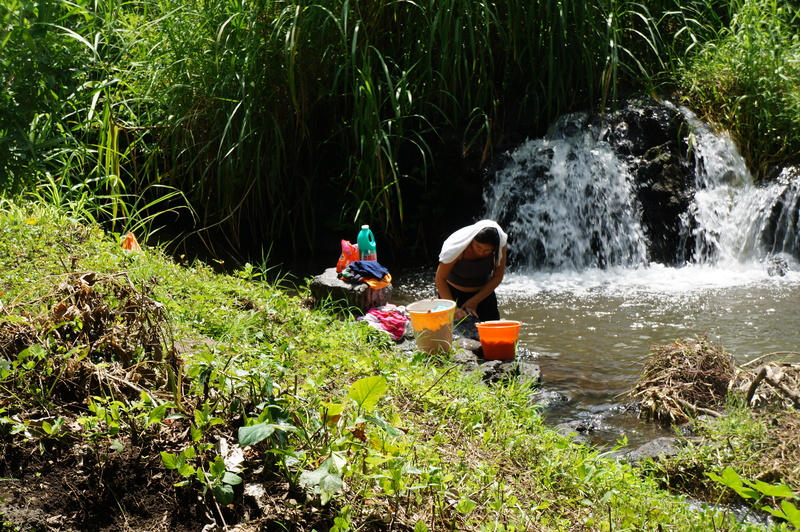 After a light hike nearby, we headed to Yambigapan’s rural home-stay facility, located on a bluff over looking a small valley. From the home, you can walk to the Laguna Encantada for boat rides or hike to a variety of destinations including the Volcan San Martin. 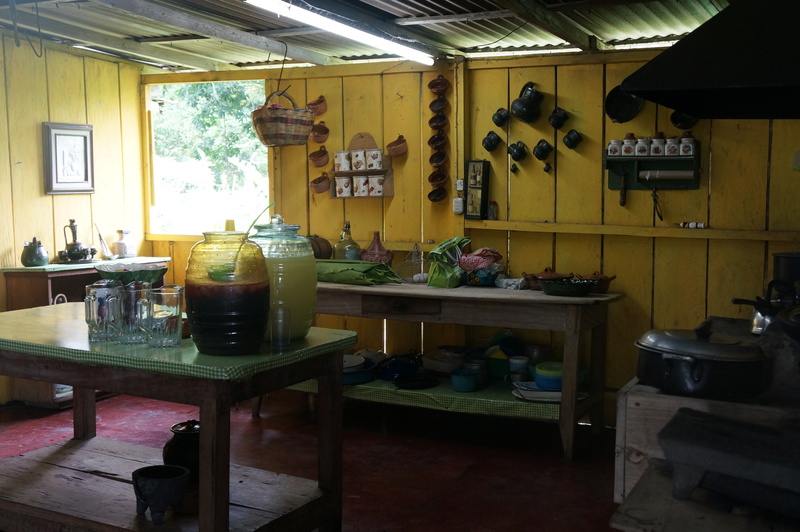 Our group was their to experience local culinary traditions – specifically tamale-making. 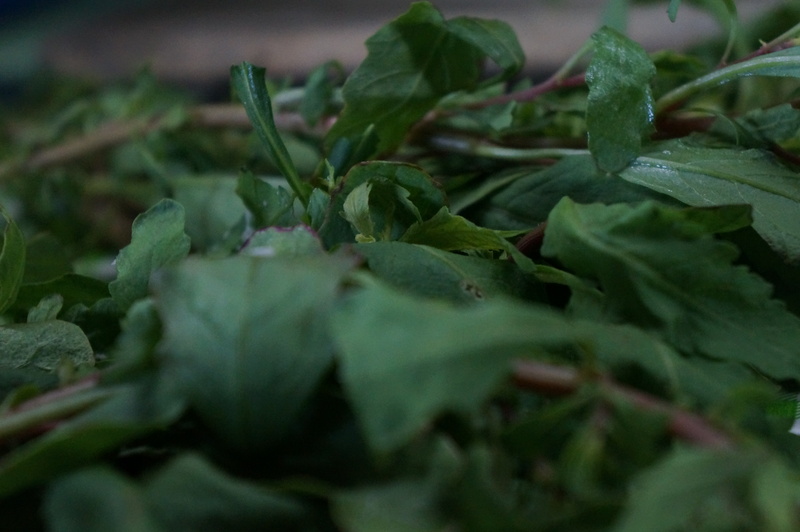 We started by chopping chepil, a Mexican herb that is somewhat similar to coriander. 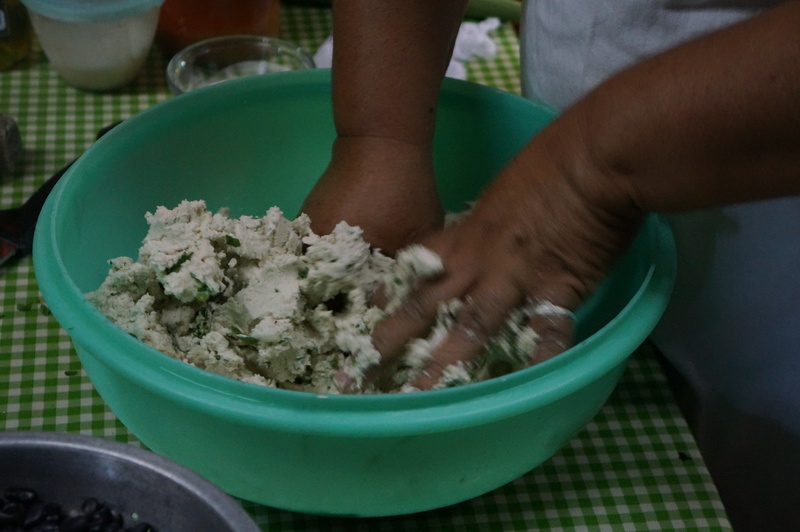 Then we kneeded the masa (tamale dough). You are gonna need a lot of muscle for this. 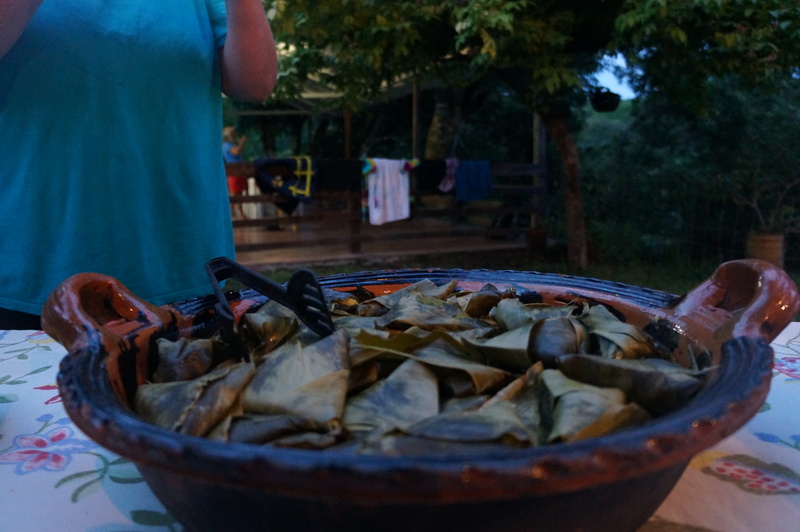 Then came the hard part, folding the tamales in the leaves. It’s actually not that hard. You just plop a blob of masa onto the leaf and then fold the tamale like an American flag. Pop ‘em in the oven for a while, launch some globos (paper lanterns, which we also learned how to make), listen to some jarocho son music and voila, you have dinner.